Holy Cross Ministries is targeting Latino children with proceeds it raises during Live PC Give PC. According to Aimee Cunniff, director of finance, the funds go toward the School Readiness Program, which gives 80 at-risk Latino students basic pre-literacy, behavioral and physical education support. Parents of the students can also volunteer within the classroom to communicate with teachers to get individualized advice for their students. "This approach, which simultaneously educates parents and children, helps nurture success and empowerment within families while integrating them into the formal school system," Cunniff said. For additional information, visit holycrossministries.com. 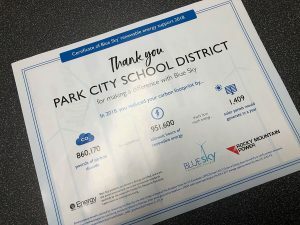 Several schools in the Park City School District are participating in Live PC Give PC with the help of the Park City Education Foundation. Abby Funabiki, development manager for the foundation, said the teachers and administration of each school were able to choose their own projects. Park City High School is raising money for scholarships as well as a competition trip for its band. Treasure Mountain Junior High is trying to bring author Neil Shusterman to the school for a writing workshop. Ecker Hill Middle School is using proceeds for its student garden. Parley's Park Elementary is funding a reading program, while McPolin Elementary and Jeremy Ranch Elementary are both raising money to put healthy snacks in their cafeterias. Trailside Elementary has targeted teacher needs, such as initiatives to make the school more green. For more information on the education foundation, visit pcef4kids.org. Rob Anderson, area director of Park City Young Life, said people have looked for the organization during Live PC Give PC in past years, but it wasn't participating. That will change this year. Anderson is hoping the event raises awareness about Park City Young Life, which is a group for Park City High students. Money the organization raises Friday will help fund camping trips for students, which gives them a chance to get away from the hustle and bustle of the city and leave their cell phones at home. Anderson said students used to miss their phones when the organization first began taking them on camping trips, but now they appreciate the chance to disconnect from technology. For more information, visit parkcity.younglife.com. The Mountainlands Community Housing Trust is using Live PC Give PC funds to provide temporary housing for homeless people in Park City. 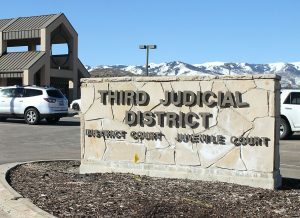 According to the organization's page on Live PC Give PC's website, livepcgivepc.org, many of Park City's homeless are victims of domestic abuse. And while few live in the streets, they don't have homes -- they live in cars or hotels or at a friend or relative's house. After receiving assistance from Mountainlands, many go on to obtain permanent housing and are able to increase their income to sustain themselves. Visit housinghelp.org for more information. Those interested in participating in Live PC Give PC by donating to any of these organizations can do so at livepcgivepc.org. 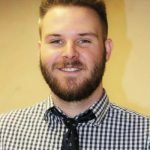 Big Brothers Big Sisters of Utah has participated in Live PC Give PC for several years now, and Lio Martinez, Summit and Wasatch counties coordinator for the organization, said participation has increased each year. She expects that to continue Friday. 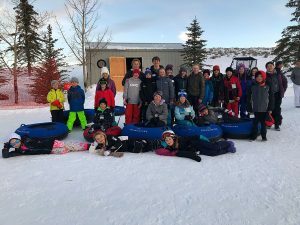 Money raised during Live PC Give PC goes toward after-school programs in all four Park City School District elementary schools. The programs allow high-school or adult mentors to pair up with a little "brother" or "sister" from one of the schools. The adults help the students with homework and participate in activities with them. For more information about Big Brothers Big Sisters of Utah, visit bbbsu.org. Several schools in the Park City School District are participating in Live PC Give PC with the help of the Park City Education Foundation. Abby Funabiki, development manager for the foundation, said the teachers and administration of each school were able to choose their own projects. Park City High School is raising money for scholarships as well as a competition trip for its band. Treasure Mountain Junior High is trying to bring author Neil Shusterman to the school for a writing workshop. Ecker Hill Middle School is using proceeds for its student garden. Parley’s Park Elementary is funding a reading program, while McPolin Elementary and Jeremy Ranch Elementary are both raising money to put healthy snacks in their cafeterias. Trailside Elementary has targeted teacher needs, such as initiatives to make the school more green. For more information on the education foundation, visit pcef4kids.org. Rob Anderson, area director of Park City Young Life, said people have looked for the organization during Live PC Give PC in past years, but it wasn’t participating. That will change this year. 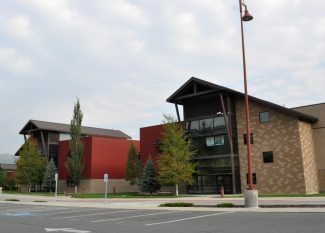 Anderson is hoping the event raises awareness about Park City Young Life, which is a group for Park City High students. Money the organization raises Friday will help fund camping trips for students, which gives them a chance to get away from the hustle and bustle of the city and leave their cell phones at home. Anderson said students used to miss their phones when the organization first began taking them on camping trips, but now they appreciate the chance to disconnect from technology. For more information, visit parkcity.younglife.com. The Mountainlands Community Housing Trust is using Live PC Give PC funds to provide temporary housing for homeless people in Park City. According to the organization’s page on Live PC Give PC’s website, livepcgivepc.org, many of Park City’s homeless are victims of domestic abuse. And while few live in the streets, they don’t have homes — they live in cars or hotels or at a friend or relative’s house. After receiving assistance from Mountainlands, many go on to obtain permanent housing and are able to increase their income to sustain themselves. Visit housinghelp.org for more information.